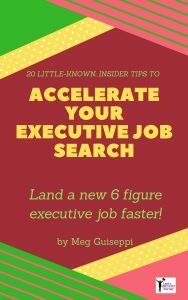 If you’ve been paying attention, plenty of helpful articles have probably passed in front of your eyes about using LinkedIn for personal branding and executive job search. 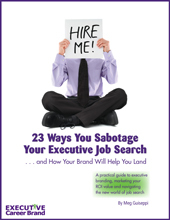 I write about LinkedIn often right here on ExecutiveCareerBrand.com. In particular, you’ve probably seen lots of articles about LinkedIn updates, and how you can use them to build your personal brand. Did you overlook those articles, thinking they’re about updating the content in your LinkedIn profile? Maybe you recently worked on your profile content . . . or you think your profile content doesn’t need fixing, so these articles don’t interest you. Maybe I’m confusing you. Did you notice I said “LinkedIn updates” and “updating the content in your LinkedIn profile”? Let’s look at the difference. What’s the Difference Between “Posting a LinkedIn Update” and “Updating Your LinkedIn Profile”? “Posting an update” means sharing something of interest about you or others in your LinkedIn updates feed. Your update feed is visible in the center column of your profile, each time you log into your LinkedIn account. As of this writing, you post an update by clicking on the content in the block that appears at the very top of the center column. This action is also called “sharing an update”, “an activity update” and “updating your status”, among other things. “Updating your LinkedIn profile” means editing or changing the content in the various sections of your LinkedIn profile – Headline, Summary, Experience, Education, etc. As of this writing, you update (or change) the content in your LinkedIn profile by clicking on “Me” in the menu along the very top of your profile, and then clicking on “View profile”. You can then access the various profile sections to make edits and/or changes. Both of these actions pack a powerful personal branding punch, when used wisely and with a clear understanding of their impact. Need my one-on-one help to get on the right track with LinkedIn? 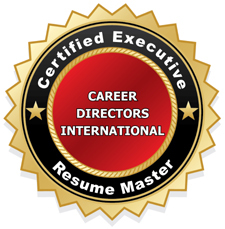 Sign up for my LinkedIn Strategy Session for Executive Job Search & Personal Branding. Now let’s take a look at both of these “updating” ways to brand yourself on LinkedIn. In a LinkedIn Pulse article, job search social media expert Hannah Morgan suggests that job seekers who post an update build engagement exponentially and are much more likely to be contacted by recruiters. This makes sense because each update you post helps keep you top of mind with all kinds of people, including recruiters. 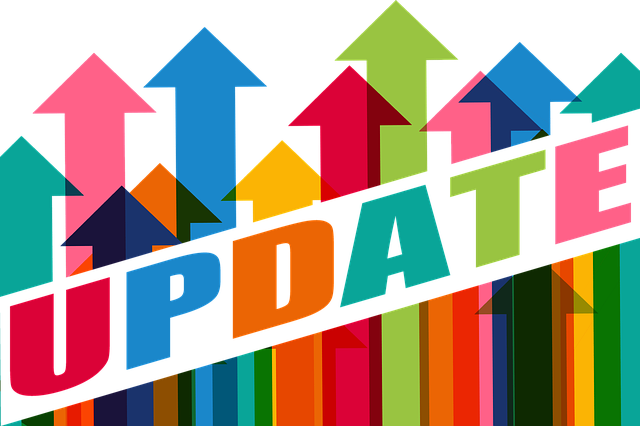 Mention and tag influencers and/or people in your network in the update information you post. Tag people by typing the “@” symbol and then their name. A drop-down menu will automatically appear from which you can select that person. Their name will then be hyperlinked within the update, so people can click on and view their profiles. The benefit here is that these people will be notified that you’ve mentioned them. They are very likely to “like”, “comment” or “share” your update, which builds personal brand evangelism and visibility for you. Additionally, you’ll be building brand evangelism for them. People search LinkedIn using relevant keywords and phrases to find people like you. When these hashtags appear in your updates feed, people who can help you with your career goals are more likely to find those updates and take a look at your LinkedIn profile. More views of your profile will boost your chances of being contacted by recruiters and hiring managers at your target companies. The homepages of your 1st-degree connections. The homepages of your 2nd- or 3rd-degree connections if re-shared, commented upon, or liked by your 1st-degree connections. Content search results for topics you’ve posted. Search results for hashtags you’ve used in posts. Your public profile, which is also visible to people who are not signed in to LinkedIn. Other sites off LinkedIn. This means that even people who are not signed in to LinkedIn can see your post. Your followers’ feeds, who may not be connected to you. When you hit “View profile” under “Me” in the menu at the top of your profile, you’ll see your headline directly below your photo and name, at the top of your LinkedIn profile. This headline follows you everywhere on LinkedIn in a thumbprint (along with your photo and name), so people will notice your headline whenever you post an update. They’ll get an immediate indication of your personal brand and value proposition. If you do nothing to your headline, LinkedIn will put your most recent job title there. You can improve that default headline by editing it to contain the relevant keywords and phrases that best represent the value you offer, and that will most be searched by recruiters and hiring managers at your target companies. First, take a look at what’s in each section of your LinkedIn profile right now. Does the content accurately reflect who you are, what you have to offer, and why your target employers need you? Is your personal brand and unique value proposition abundantly evident? If you answered “No” to either or both of these questions, and you’re job hunting, it’s best to get working on building out your LinkedIn profile with content that will support your brand and attract your target employers. More content in your profile = more relevant keywords = better visibility and credibility for you as a candidate. Beyond populating each applicable LinkedIn profile section with as much content as possible, it’s a good idea to get into the habit of revisiting your LinkedIn profile content once a year to edit, change and update. Even if none of the above is happening, and everything is status quo with your career, you may find that you can improve Search Engine Optimization by adding different relevant keywords to the content. 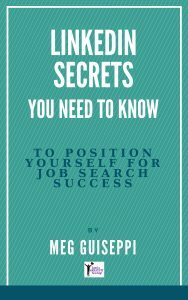 If you’re job hunting undercover, you’ll need to take precautions to keep people from noticing that you’re working on your profile content, a telltale sign that you may be looking for a new job. The last thing you want to do is alert your current employer to the fact that you’re looking. No matter what you do, some people are bound to notice that things have changed on your profile, especially if you suddenly have plenty of content there from one day to the next. But you can but some safeguards in place by making some changes to your Settings, BEFORE you make any changes to the content in your profile. Click on “Me” in the menu at the very top of your LinkedIn profile. Click on “Settings & Privacy”. Scroll down and click on “Sharing profile edits”. You’re asked “Do you want to share your profile changes with your network?” Choose “No”. If, on the other hand, you’re not actively job-hunting and you actually want your network to know about the changes you’re making to your profile, move the Yes/No toggle noted above to “Yes”. Be aware that LinkedIn says it may take up to 12 hours for the change(s) to land in your feed and thus shared with your network. Know the difference between “posting (or sharing) an update” and “updating your LinkedIn profile”, and stay informed about how to do both well, because things change in an instant on LinkedIn. Post updates regularly to stay top of mind with people and promote your personal brand. Update the content in your profile at least once a year, to keep it on brand. 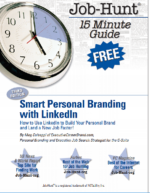 This article was originally published for my gig as the Personal Branding with LinkedIn Expert on Job-Hunt.org.